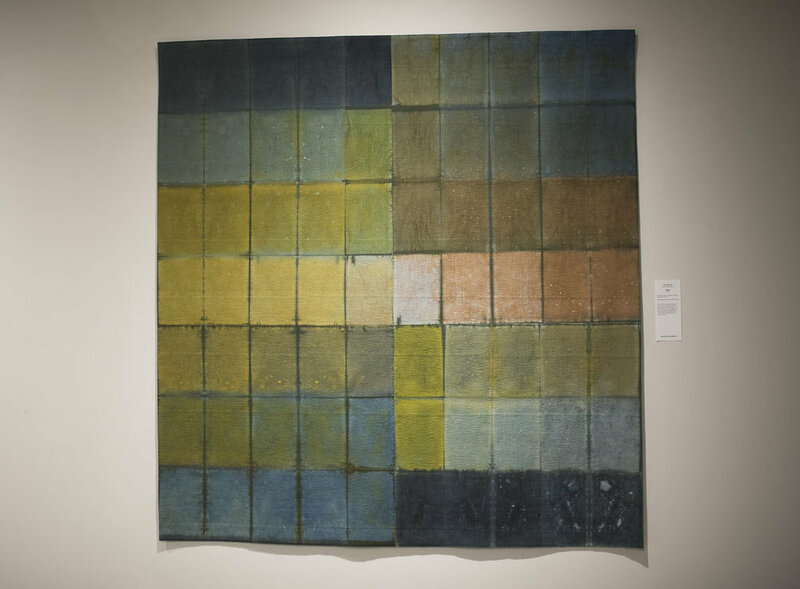 This internationally-juried exhibition, juried by The Dairy Barn Arts Center in Athens, Ohio, joins the Foundry Art Centre once again for its renowned biennial collection of Art Quilts by contemporary fiber artists. The Foundry Art Centre is the only venue that will host the exhibition in its entirety aside from its original run at The Dairy Barn Arts Center. 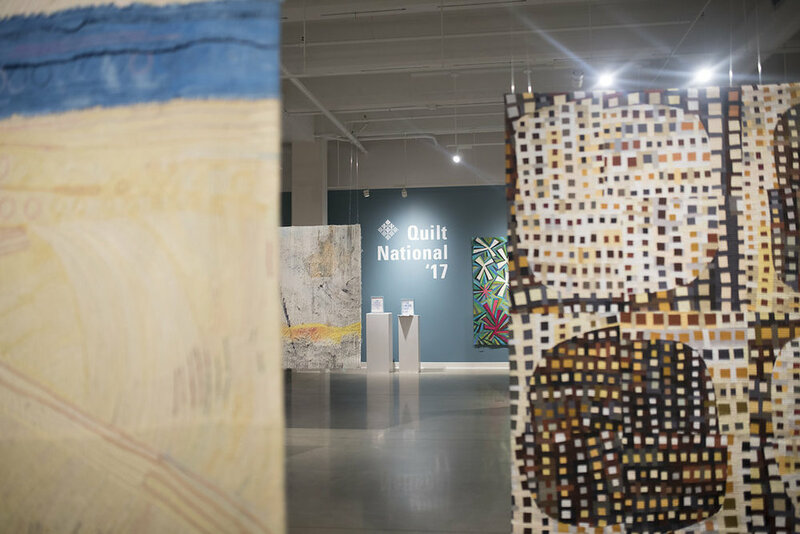 Quilt National was intended to demonstrate the transformations taking place in the world of quilting. 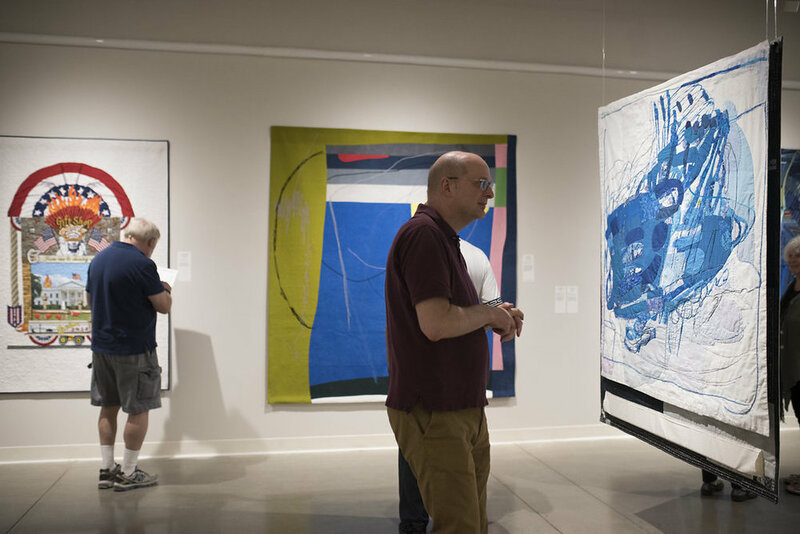 Its purpose was then, and still is, to carry the definition of quilting far beyond its traditional parameters and to promote quiltmaking as what it always has been — an art form. For the full history of Quilt National, please click here. 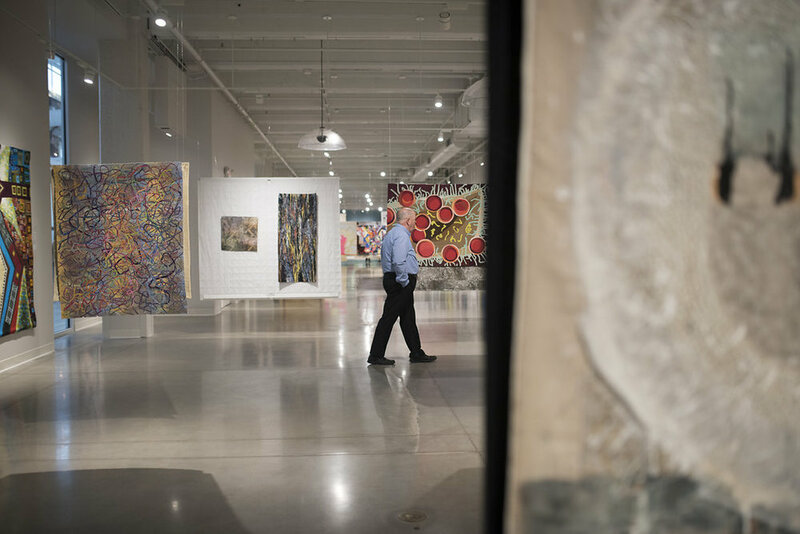 Nancy Crow, one of the Quilt National founders, has been making quilts for 40 years, maintaining a large studio and teaching facility on her 100 acre farm east of Columbus, Ohio. Crow was named a Fellow of the American Craft Council; she also received the National Living Treasure Award from the University of North Carolina at Wilmington. Crow is a prolific artist. She has curated and exhibited both nationally and internationally at many venues including the Renwick Gallery of the Smithsonian Institution, the NYC Museum of Arts & Design, the Cultural Arts Museum of Konstanz, Germany, and among many others the Auckland Art Museum, New Zealand. Petra Fallaux is a writer, curator, creative director, and artist. 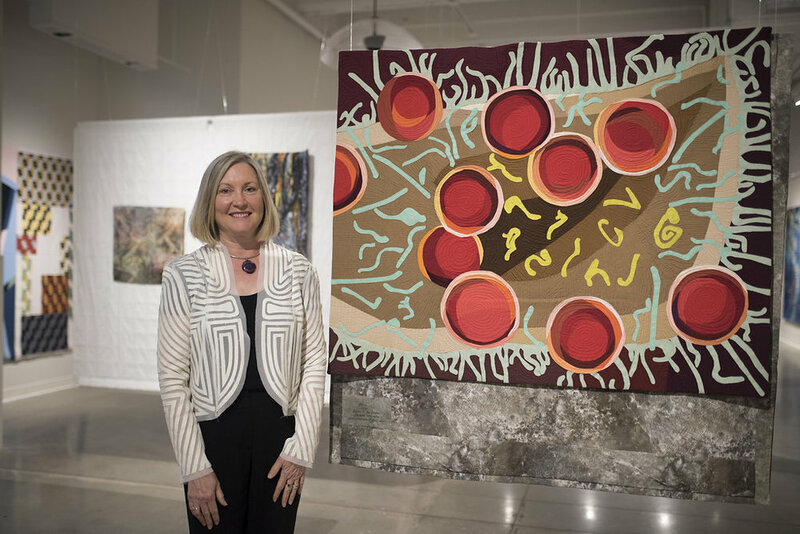 In addition to helping direct Springboard Design, an award winning architectural firm, Petra is an active studio artist whose primary focus since 2003 is to make one of a kind quilts. After receiving degrees from the Universities of Leiden and Amsterdam in Psychology and Film Studies, she went on to earn a Master of Arts Management degree from Carnegie Mellon University and directed its university art galleries for over ten years. 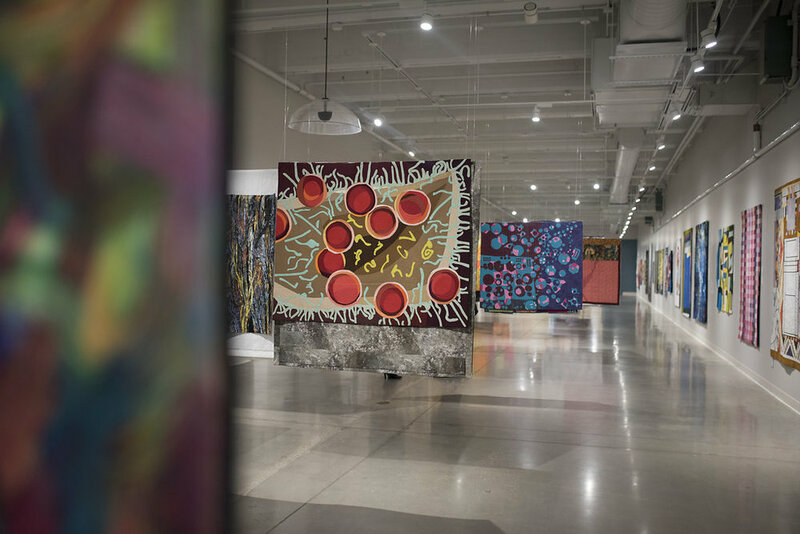 During her tenure she founded and guided the building of the 10,000 SF Miller Gallery and curated more than 100 exhibitions in a variety of media ranging from paintings, prints, and drawings to architecture, video, design and site specific installations. Art Martin is the Associate Curator/Collections Manager at the Muskegon Museum of Art. He is the organizing curator for several recent international fiber exhibitions, including the traveling exhibitions Innovators and Legends: Generations in Textiles and Fibers and Extreme Fibers: Textile Icons and the New Edge with guest curator Geary Jones, and the upcoming Circular Abstractions: Bull’s Eye Quilts with guest curator Nancy Crow. A practicing artist, Martin holds a BFA in Painting and Drawing from Drake University and a MFA in Painting from Wichita State University. This exhibit is produced and circulated by The Dairy Barn Arts Center, Athens, Ohio.